» Key reasons why businesses should have a Mobile presence. 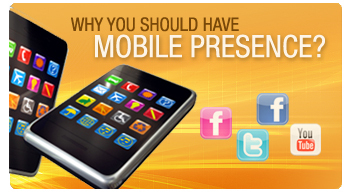 Key reasons why businesses should have a Mobile presence. According to a study by Neilson, mobile Internet usage is growing 30% every year. By 2013, it is expected that there will be 134 million mobile web users in the United States alone, up from 73.7 million mobile web users in 2009. The following are several of the critical reasons why businesses should have a mobile website in 2010. 1. Google has a separate index for mobile content. Ranking on mobile is easier because Google has a much smaller index of content under mobile, as this segment is still in its infancy. Therefore, if businesses get a mobile site today, they stand a very good chance of being highly ranked. 2. One out of every five Americans is on the mobile web every day. As the percentage of mobile web users increases rapidly, businesses should not miss the opportunity to capture this audience and preempt the competition. 3. 20% of all U.S. households are now “mobile-only”. With these statistics, it is a foregone conclusion that the mobile web will overtake the desktop. In the near future, most of the visitors to a website will be through mobile. Mobile devices such as the iPhone and Android have revolutionized web surfing, enhanced the experience dramatically, and continue to drive more consumers to use mobile devices for browsing the Internet. 4. $1.6 billion purchased from mobile devices in 2009. Purchasing from mobile devices is on the rise, and studies indicate that buying confidence levels are also increasing, paving the way for an exciting new platform for eCommerce. Advertising spend gives analysts a good indicator of where an industry is headed. Given this rising estimate, it is quite clear that the Mobile segment is going to be highly significant. Moreover, a recent Comscore study reveals that 25% of mobile phone users participate in at least one (and up to 10) SMS (text) marketing program monthly. 6. Mobile Coupons are growing rapidly. Consumers are increasingly looking for offers and coupons in this fragile economy. Mobile coupons, via texting, are convenient, easy to access and redeem. They have become the latest ‘hot’ killer app, providing businesses with more reasons to consider a mobile presence. Bar coded mobile coupons, another new trend, are now becoming a significant practice amongst bigger businesses. In the next two years Juniper Research predicts that approximately three billion mobile coupons will be issued to phones. 7. 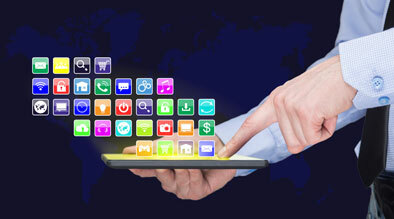 Big (and small businesses) are embracing the mobile segment. 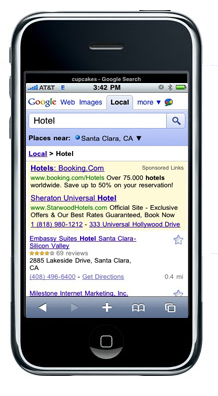 Big brands are going to make mobile a serious part of their spend in 2010. In the last two years, fast food joints like Wendy’s, Burger King, Subway, Taco Bell, Pizza Hut, and Chipotle have launched texting programs, mobile sites, and iPhone apps that enable a consumer to order food for pick-up. Big retailers such as Wal-Mart, Best Buy, Sears, J.C. Penney, and Target sent holiday text alerts and built mobile sites and iPhone apps in the last year. These applications have allowed consumers to order products, read reviews, send gift hints to friends, text early wake-up calls, and conduct a slew of other services typically only available online. The mobile segment is set to explode as the next frontier for providing consumers with the power to instantly access, review, and purchase products and services. Savvy marketers are recognizing the potential of this relatively untapped segment and are building strategies to create a solid mobile presence for consumers on the move. I am using mobile phones with Internet in my business and I can say that the improve grow up at least 25%.